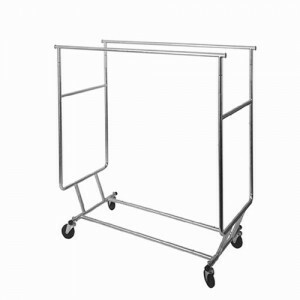 Constructed with 1” round chrome tubing, this double rolling rack easily folds for convenient storage. 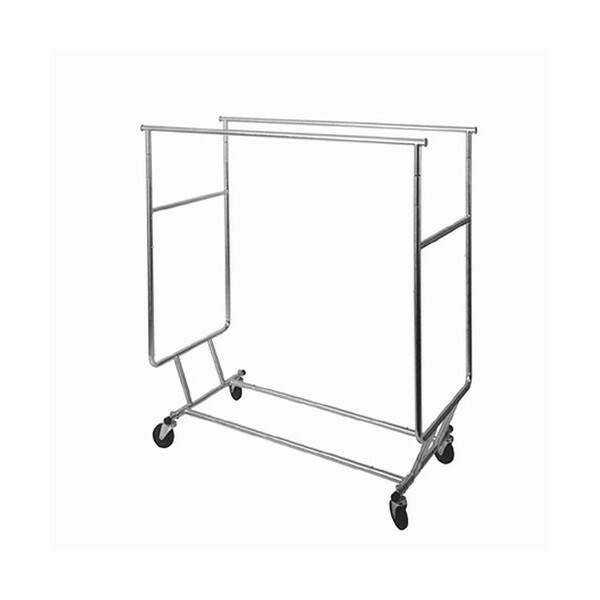 The height is adjustable from 54” to 64”, and the 48” long hangrails can be extended an extra 12” on each side with the pull-out rods. The heavy-duty 4” ball bearing casters make it easy to move around.